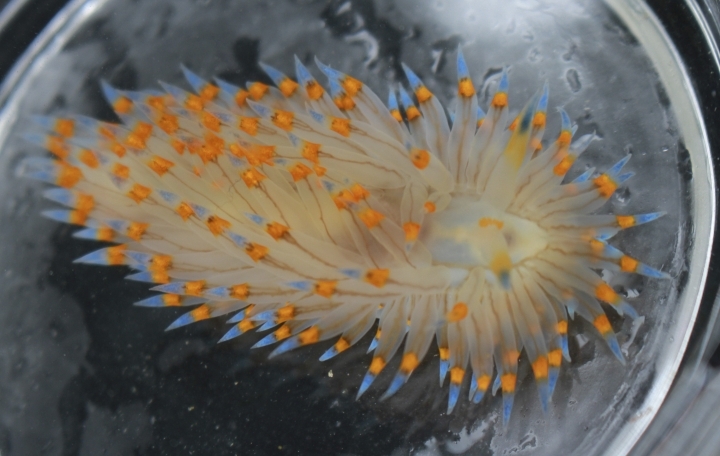 SAN FRANCISCO — Dozens of species of sea slugs, jellyfish and other marine life from toastier southern waters migrated into the Northern California region over an unusually long two-year period of severe heatwaves, says a new scientific report. The 67 species identified in the report include a carnivorous sea slug that preys on other sea slugs and a sea snail "butterfly" usually spotted hundreds of miles away off the coast of Mexico. The study by the University of California, Davis is to be published Tuesday in Scientific Reports. Not all the species stuck around, but the abundance of migration provides a glimpse of what the Northern California coast might look like in the future, said Eric Sanford, lead author and UC Davis professor. "I've been working here for 14 years and before our very eyes we are seeing a shift in the local marine communities," he said. The 2014-2016 period studied by researchers began in the Gulf of Alaska as a persistently warm patch in 2013 known as the "warm-water Blob" that spread south. Later, an El Nino event along the equator moved north, and the two factors led to unusually warm waters. Temperatures in Northern California waters, which normally range from 50 to 55 degrees Fahrenheit (10 to 13 Celsius), increased 3.5 to 7 degrees Fahrenheit. Larry Crowder, a professor at Stanford University's Hopkins Marine Station who is not affiliated with the study, said the report is impressive in documenting how species respond to change differently and, in some cases, dramatically. He said the report could help studies in fisheries management. "We're not sure what it means in terms of positive or negative consequences," Crowder said, but he says "the system is changing under our feet." Of the 67 species, researchers documented 37 had set new records in traveling north. Sanford said the first species they noticed was a purple striped jellyfish that washed up by their research laboratory in Bodega Bay, about 70 miles (112 kilometers) north of San Francisco. That was in July 2014. "That was the first indication that we were starting to see unusual things," he said. 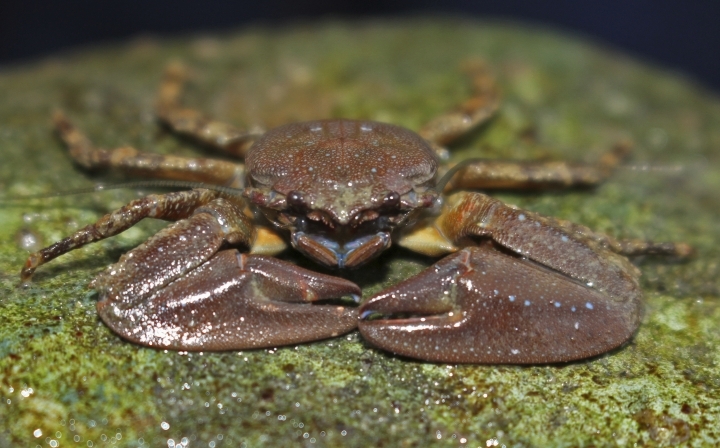 From there, researchers catalogued chocolate porcelain crabs, a species that has been in Northern California for about a decade but which boomed in population in warmer temperatures. 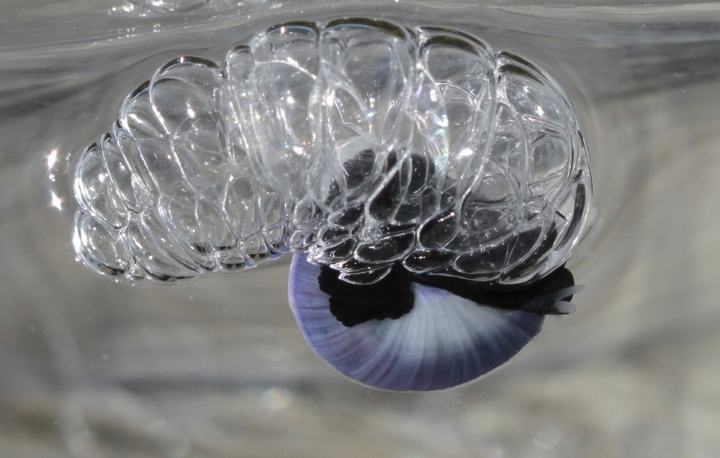 They found violet sea snails, only the fourth known record of the species north of Santa Barbara County, and a type of sea slug called the Janolus Nudibranch, usually found south of Monterey County. Sanford doesn't necessarily view the changes as negative, but migration will affect the ecosystem. Researchers, for example, discovered that a species of sea slug that eats other sea slugs has moved north —and appears to be sticking around. "There's potential for that species to change the community by eating other species," he said.